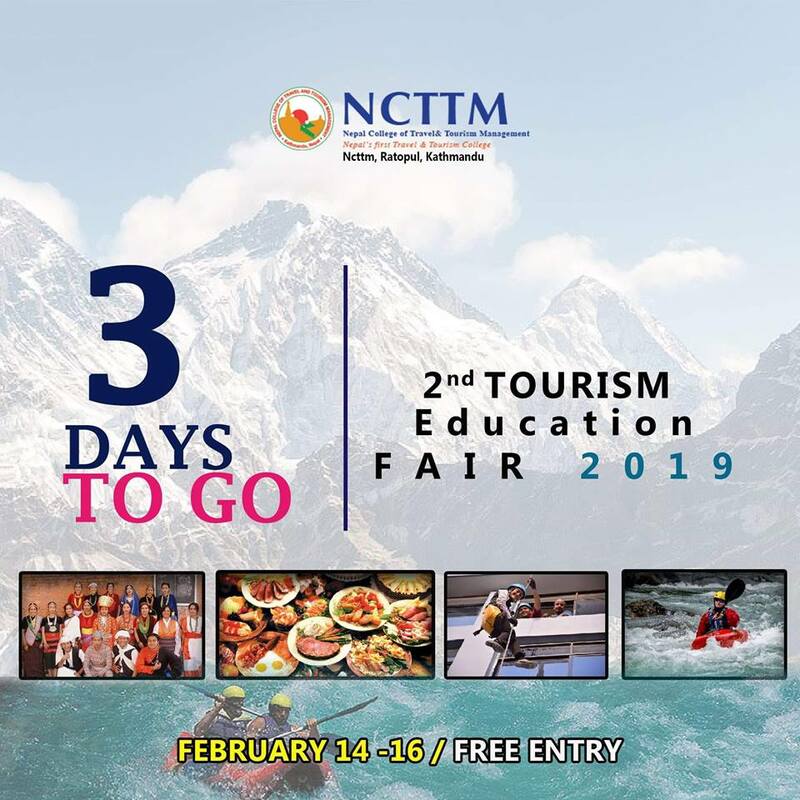 Nepal College of Travel and Tourism Management (NCTTM) is organizing "Tourism Education Fair-2019" in its premises at Ratopul, Gaushala Kathmandu. The fair will run from 14th February, 2019 to 16th February, 2019. This Education Fair aims to make the students aware of the travel and tourism sector and wide range of service providers. This event also aims to give right exposure of the tourism sector, especially to the students of Plus 2. This fair will help them in career counseling in tourism and hospitality sector. The major highlights of this three-day program are demonstration of live food production, table set up and dining etiquettes, adventure activities, display of different products, abseiling, different tourism related competitions and challenges, presentation on tourism potentials of different regions of Nepal, spot booking discounts, food festival, ethnic cultural shows, inter college tourism and hospitality quiz.